the modern data platform for all your integration needs. Product Owners - Our product is our services, so we deploy Product Owners to ensure project transparency & successful delivery. Architects - Our seasoned Architects are responsible for guidance and support of the overall Enterprise Integration Architecture design, planning and roadmap. Developers - Our experienced Developers are responsible for tactical job execution and delivery, while ensuring knowledge transfer from start to finish. Subject Experts - Our Subject Experts are specialists in specific data management practice domain, supporting our leveraged team model. Need a Talend Expert to kick start your Talend implementation? Need Talend training & mentoring for your staff? Need a Talend Resource to help in migrating data integration jobs/systems? Need to upgrade your Talend environment? Do you have custom integration requirements or development needs? Looking for assessments, course corrections or continuous improvement around your Talend program? 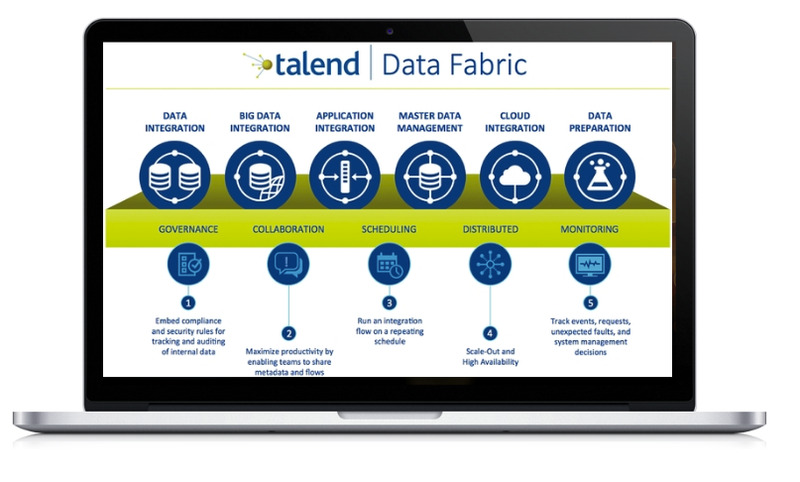 TALEND DATA FABRIC- Meet all your integration needs in a single, modern data platform.